Google fan? Love Google products? Passionate about the web and new technology? This is an exciting opportunity with a leading sales organization, Zevas Communications Limited, to promote Google products to small and medium-large businesses. 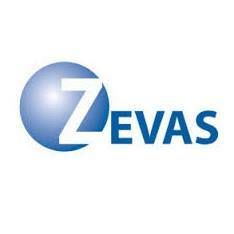 Zevas Communications Limited is currently seeking Sales Development Representatives to join our team in Dublin. Grounded on Energy, Excellence, and Execution, Zevas Communications Limited cultivates customer relationships by acquiring, retaining, and growing customers for our clients. Approach solutions to complex challenges with an analytical and creative mindset. As a Sales Development Representative, you are always reaching for ambitious performance goals. You work with a wide variety of businesses delivering the optimal advertising solution for each customer. Your strong interest in sales and the digital economy, entrepreneurial drive and expert product knowledge will help advertisers to expand their businesses with Google's latest advertising products and solutions. You listen to your customer’s needs, understand the details of individual campaigns and explore and uncover business opportunities for your customers. Team up with your Google Account Executives to attract new advertisers to Google. Effectively manage your sales pipeline and develop a strategy for long-term sustained success. College coursework in business, communications, or marketing principles. Understanding of unique challenges that medium - large businesses face in marketing online.